Soon after college I realized I enjoyed creating the art for advertising...not selling advertising or media buying. So, why not start my own graphic design company? Okay. CreativeFreedom was born. I've been lucky to work with a hand full of clients on a wide range of projects: billboards, a newlywed cookbook, Christmas self-mailer, business cards, posters, etc. Recently, I put together some art for a community event downtown. 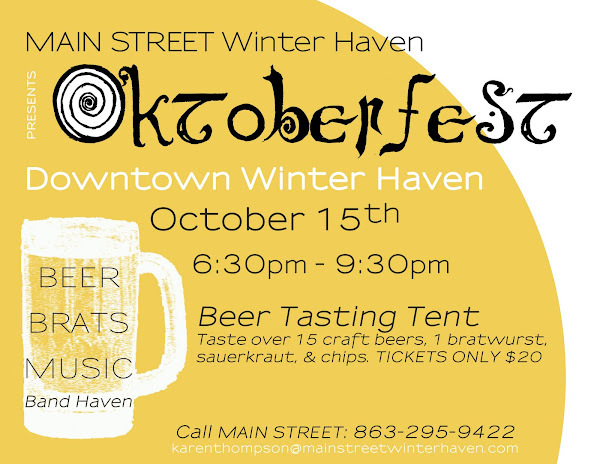 It involves beers and bratwursts-- how could I resist?! Get ready for some polka! These look amazing. As does Oktoberfest. With your graphic design powers and my love of marketing, we could start something here :) By the way I love your blogroll...A Cup of Jo is one of my favorites!